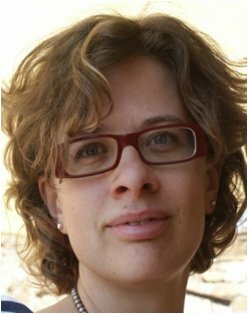 Chiara Arrigoni is currently a Postdoctoral Fellow at the Cell and Tissue Engineering Lab, IRCCS Galeazzi Orthopaedic Institute (Milan - Italy) since November 2010. She graduated in Biomedical Engineering in June 2002, with a thesis on the optimization of a pulsatile bioreactor for the mechanical stimulation of tissue engineered blood vessels. She get the PhD in Bioengineering in May 2006 at the Politecnico di Milano, with a thesis entitled “A novel perfusion bioreactor for the culture of tissue engineered vessels based on hyaluronic acid and smooth muscle cells”. During her doctoral studies she worked at the Department of Bioengineering of the Mario Negri Institute for Pharmacological Research, where she stayed until 2009. Since november 2009 until November 2010 she worked at the European Insitute of Oncology (IEO) in the Data Management unit. Her main research activities are in the field of Tissue Engineering. As a Master Student she worked on a new protocol for the culture and characterization of tissue engineered vascular constructs. During her PhD she continued her research on vascular tissue engineering, designing a novel perfusion bioreactor and culture vessels for the generation of vascular constructs based on hyaluronic acid scaffolds and vascular cells. Present research interests are the development and validation of automated bioreactors, with the aim to develop a device that can implement all the steps for engineered tissue production. In particular she is working on the characterization of OPB bioreactor seeding phase and on the implementation of methods for expanding cells within the bioreactor itself. She is also in charge of projects about the development of a vascularized bone tissue, based on a technique previously developed by a Japanese group, which actively participate in the project. Further projects are about the investigation of the mechanisms underlying bone metastasis formation in breast cancer, by means of 3D co-cultures between tumor cells and a bone like environment in vitro. Bioreactors for regenerative medicine products manufacturing, 3D vascularized in vitro bone models for both in vitro oncology studies and future clinical application as bone substitutes.